I can email you 2 free chapters, just let me know you'd like to receive them in your email box by filling out this form. Faith Adventures: Stories of Learning With an Unseen God released with Kindle Direct Publishing on Amazon in December 2015. I shared stories that will encourage you in your faith. I feel extremely passionate that sharing stories about God moving in our lives can inspire others to trust God in their own lives. 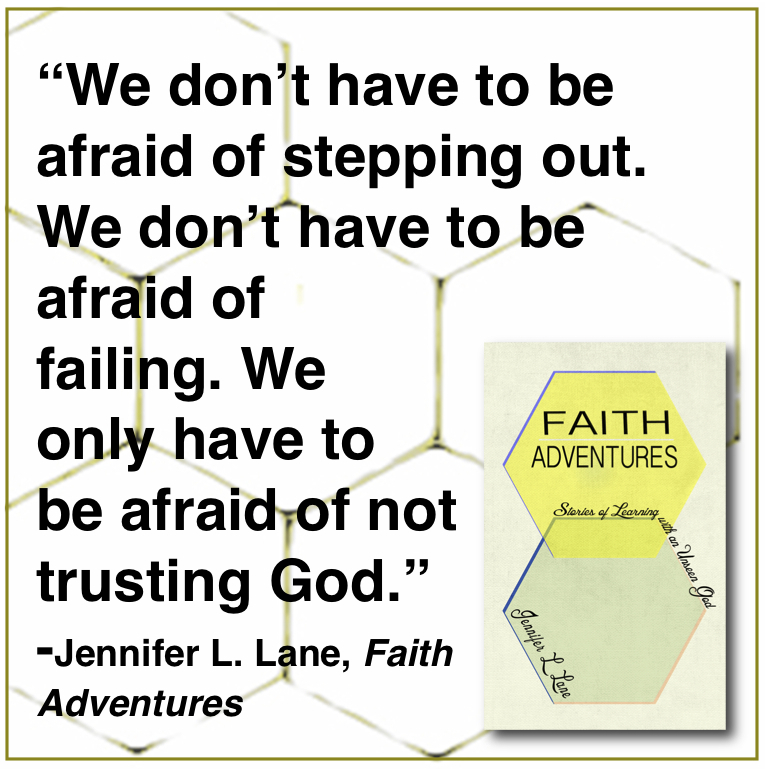 Faith Adventures is a book of essays and scripture studies centered around the allusive idea of faith. It is full of real-life stories meant to encourage your courage, dwindle your fear, and cultivate your faith in a faithful God. Local missions, foreign mission, adoption, social anxiety, spiritual growth, loss, friendship, and leadership are just some of the topics covered in this inspiring book. Faith Adventures reminds us that childlike faith isn't shallow. So let this book spur you into a deeper faith, that remains simple and pure. Find Faith Adventures on Amazon now. Not sure if you're ready to purchase? Get the first 4 chapters of Faith Adventures right now for free. Just subscribe to my blog and check your inbox. I can email you 4 free chapters, just let me know you'd like to receive them in your email box by filling out this form.